The Bulls have added depth in their backcourt. 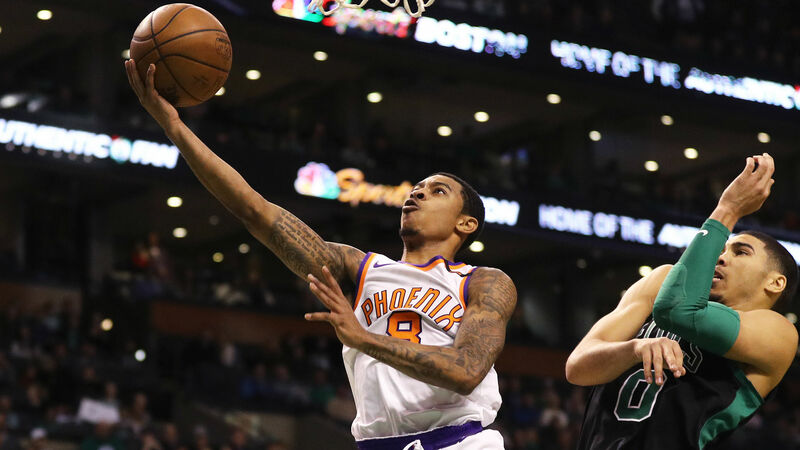 Chicago has claimed Tyler Ulis off waivers, according to a report from The Athletic. The Warriors cut the 22-year-old point guard Friday. Sources on @TheAthleticNBA @WatchStadium: The Chicago Bulls have claimed guard Tyler Ulis off waivers. Ulis was waived by the Warriors on Friday. Ulis will sign a two-way contract with the Bulls, the report says. Sources on @TheAthleticNBA @WatchStadium: The Bulls are signing guard Tyler Ulis to a two-way NBA contract. Chicago claimed Ulis off waivers today. Ulis averaged 3 points and 1.5 assists in four preseason games with the Warriors before his was released. The Suns originally selected Ulis in the second round of the 2016 draft. He was a rotation player for Phoenix as a rookie and averaged 7.8 points in 23.4 minutes per game last season. Ulis was released by the Suns in late June in a move designed to create cap space for the team. The Bulls open the regular season Thursday against the 76ers.